Enlarge / This cute little Switch controller won’t work with your cute little Switch game library; only downloadable NES classics will be supported. I’ve been on record for years now in my position that the Nintendo Switch Joy-Cons are “hand-crampingly small” when being held horizontally, NES-controller style, by adult-sized hands. So I was hopeful that the Switch-compatible replica NES controllers Nintendo announced last week would let me play a variety of old-school Switch games with a full-sized controller, complete with an old-school d-pad and full-sized buttons. Please note: Nintendo Entertainment System Controllers can only be used while detached from the Nintendo Switch system, and only to play NES – Nintendo Switch Online games [emphasis added]. Nintendo Entertainment System Controllers can be charged by attaching to the Nintendo Switch system. 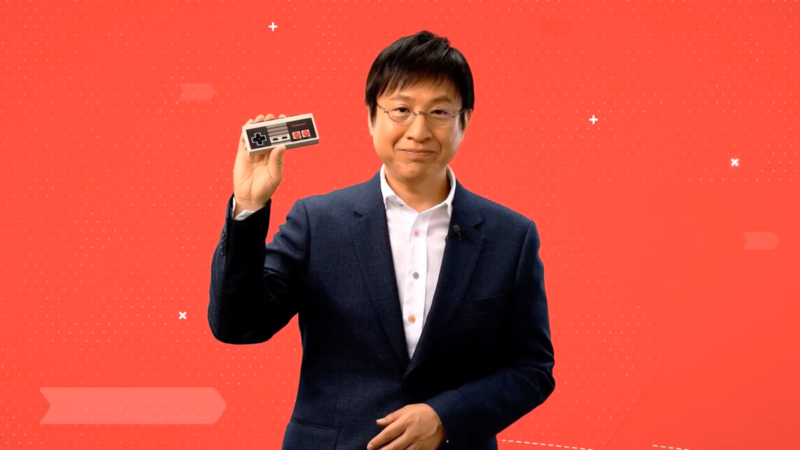 In its recent Nintendo Direct video presentation, the company only highlighted the controllers’ use with downloadable NES games, and the fine print of that video did state that “Controllers do not include Joy-Con functionality.” Still, these newly spotted Web disclaimers confirm that the special controllers won’t work with any other Switch games. We can understand why you wouldn’t want to use these replica NES controllers when attached to the system in portable mode—the controllers’ clunky size and odd button placements would make that a hassle. But in docked mode, it would be nice to be able to use these full-sized, old-school controllers in place of the tiny and d-pad-free Joy-Cons for everything from Celeste to Bloodstained: Curse of the Moon. While the replica NES controllers are missing features like analog sticks, rumble, and gyroscopic tilt-sensitivity, there are plenty of games where these features are optional or completely unused. And while the NES controllers don’t have as many buttons as a standard Joy-Con, the two face button and two shoulder buttons would be more than enough for many games (assuming some sort of system-level button configuration tool). It’s quite possible that Nintendo didn’t want its replica NES controllers, which will sell at $ 60 for a pair, to compete with its own Switch Pro Controller, which sells at an MSRP of $ 70. As it stands, the Pro Controller remains the only official way to use a standard d-pad on Switch games, though imperfect third-party solutions do exist. In any case, potential purchasers should be aware that these special NES controllers can only be used for a handful of classic games, and they will become completely unusable if you stop subscribing to Nintendo’s online service. That makes them more of a novelty than anything else, in our view.